This year the 57th annual Salón Náutico is taking place in Barcelona, inviting water enthusiasts from all over the world to explore the most diverse range of services and products related to recreational water sports and sailing in Spain. The show is a meeting point for industry professionals, the largest of its kind, and is something you do not want to miss, whether you’re just finding your sea legs or are a full-blown water worshipper. The entrance fee is 11,50€ when you book online. Barcelona’s Salón Náutico is known to be one of the top boat shows in Europe thanks to its extensive participation and attendance. It also boasts the best location of any show in Europe, Port Vell, a marina which has recently been renovated, with new additions recently unveiled back in 2015. This is not only a place for people in the boating industry, it is great for families to attend as well. Even if you have little knowledge or interest in boats you will still be surprised by how much fun you’ll have learning a few things about sailing. Activities at the Salón Náutico in Barcelona have been designed for all ages and all levels of interest in sailing and water sports. There is a Fun Beach zone with all kinds of interesting things to try. You can even test your balance on a stand up paddle board, an activity which is becoming more and more popular around the world. Other water sports to sink your teeth into at the show include dinghy sailing, kayaking and canoeing. 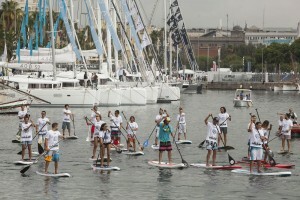 You can also practice your surfing on the wave generator that will be set up at Port Vell. Don’t forget to take part in the fun competition for small remote controlled yachts. We recommend staying late and experiencing the festival at night for live music and tastings, and don’t miss out on the cool Flyboard show. 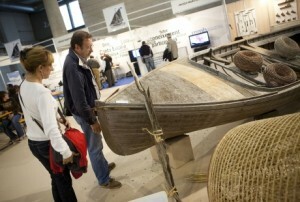 The purpose of the boat show is to provide knowledge and encourage sailing. Taking it one step further, there is also a beginner’s guide to sailing with information about getting started on the waves. At the Sálon Náutico 2018 there will be seminars, talks with sailors, and conferences for sailing enthusiasts around. There will also be a showcase of traditional wooden sail boats and information on how to restore them. 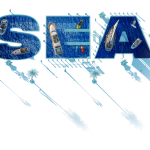 Many well known people in the boating industry come to Barcelona to participate in this event so it is a great networking opportunity for professional sailors, retailers, and enthusiasts. Plenty of what you see will be available for purchase. Stalls will be set up throughout the show offering products for sailing, fishing, and water sports. You also can find information about attending a sailing school, and financing options that will make it possible to buy your own sail boat. There will be lots of food, and you’re likely to find some nice souvenirs to take home with you if you’re visiting from out of town. If you still can’t get enough of the water, head to Vila i la Geltrú and try some watersports on the town’s 4km of coastline!